Below you’ll find the highlights of our data and some hand-picked insights that can help you create better content in the year to come. Here’s to a great 2019! 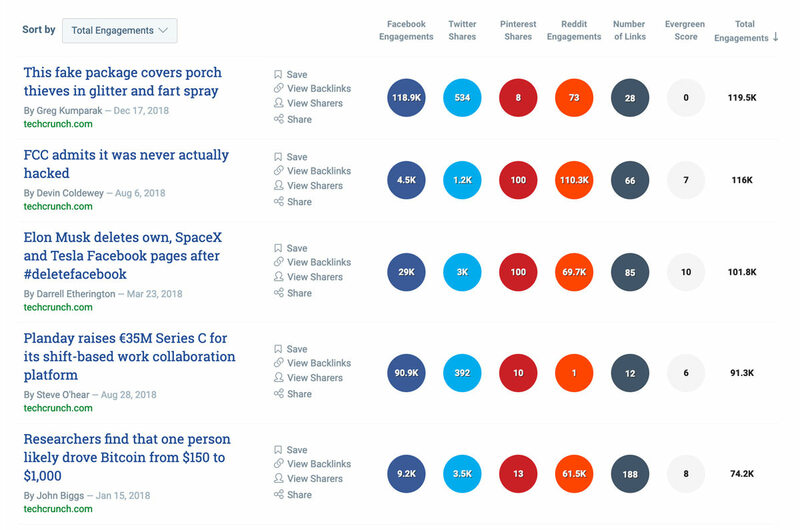 In addition to looking at these blog posts, articles and videos through the lens of social shares, we also evaluated the lasting impact of the content, using BuzzSumo’s Evergreen Content Score. 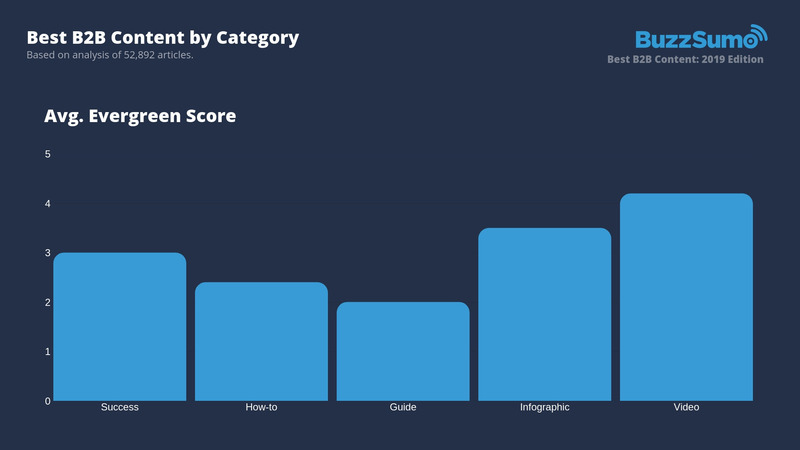 The content in our study had an average Evergreen Score of 2.9, and a median evergreen score of 1.6. This is high compared to averages from across the web. 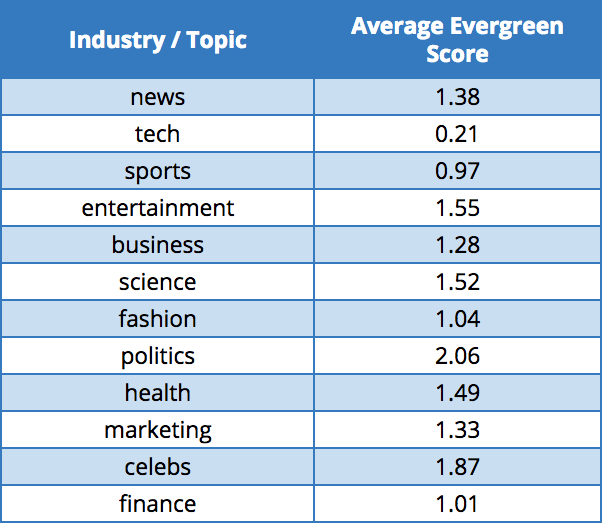 A summary of evergreen scores for different industries, including B2B and B2C content is below. Since many publishers monitor social share counts and backlinks, we thought it would be valuable to break out the averages and median for these two metrics as well. 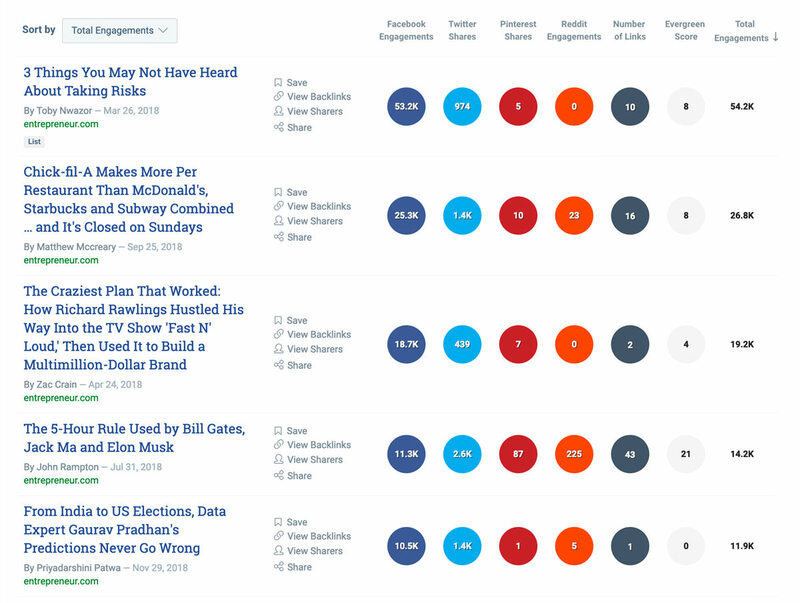 The average number of social interactions for these high performing B2B articles was 1,029. These numbers are incredibly high, given that the median number of social shares for all content (not just B2B) is four. Higher Quality Content: Our Content Trends Report showed that content quality has a significant effect on the number of shares. Create better content, and you should see an increase in shares. Basing some of your content on original research is one way to increase quality. And, keep SEO in mind as you create, as well. Don’t Neglect LinkedIn Sharing: Also discovered in our Trends Report, LinkedIn sharing was on the rise while other networks were declining. Make sure you have LinkedIn as one of your social share buttons. At BuzzSumo, we use the Social Warfare plugin and limit our sharing options to Facebook, Twitter, LinkedIn, and Pinterest. Authoritative & Evergreen: Timeless content that is authoritative will continually attract organic traffic and social shares. Create more Evergreen content and you will continue to see shares increase on that content. Don’t Be Afraid to Newsjack: Tapping into trending news is still one of the most effective ways to drive shares. Relevancy is a key factor in whether or not someone decides to share your content. There are more ways to create highly shareable content, so, by all means, don’t stop here. The median number of backlinks to articles on our list was 5. This is also much higher than the median for all content, which had a median of zero. A consistent, concerted effort to acquire backlinks should be on your content marketing to-do list for 2019. Brian Dean’s link-building strategy is a great place to start. 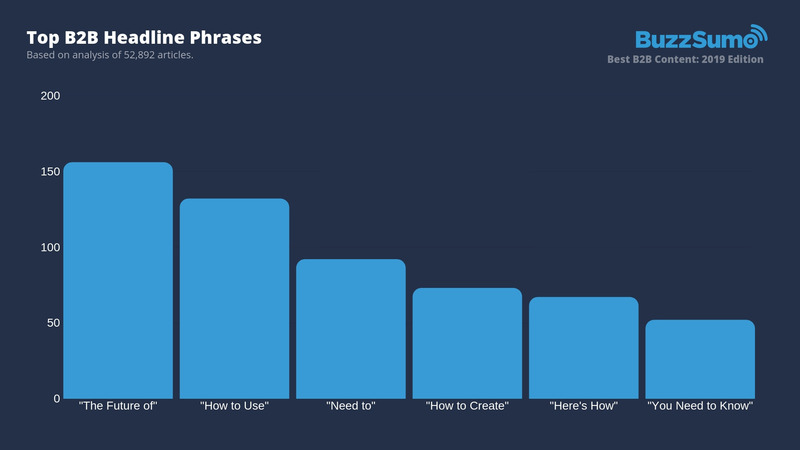 You might consider looking at some of your older or under-performing content to see if any of it can be reframed with one of these headline phrases. Our sample included content of various different lengths. The number of short articles appearing on the list was significantly higher than all other article lengths. So it would seem that most B2B publishers are still publishing articles less than 1,000 words, despite data showing that longer-form content performs better. However, our study showed that of these top performing pieces, articles with 1000-3000 words had an advantage in producing higher evergreen scores, social engagements, and backlinks. Fewer people in the B2B space are writing medium and long content, but those that do are at an advantage for content performance. Testing this length with your audience would be a great way to start 2019. So how did each of these types perform compared to one another? Video and Infographic content were more evergreen — with higher backlinks and social shares over time than all the other content types. 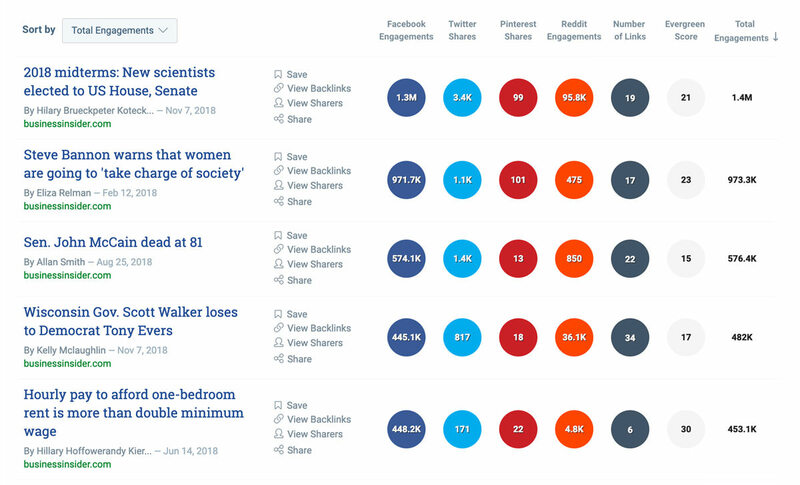 The best content type by the number of shares is the “Success” articles, beating out the other content types by nearly double the number of shares. The best content type by number of backlinks are those with “Guide” in the title, gaining an average of 10% more links per article. 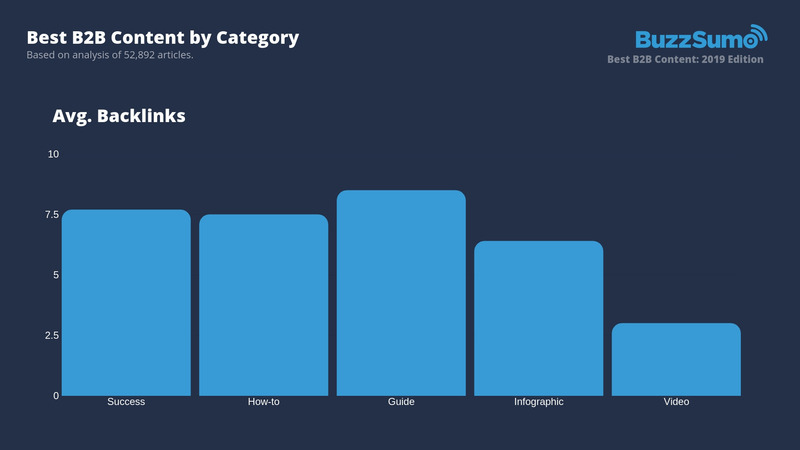 More than just a bunch of fun stats, we wanted to give you some tangible examples of the best-in-class content in each category. Below we’ve highlighted three of the top articles in each category. One of the most popular content types, historically, “how-to content” is aimed at teaching readers to do something. Whether that is something like How to Create a Successful Content Marketing Funnel or How to Get Around Google’s Latest Algorithm Change. How-to articles are popular because they are utilitarian. They give the reader something tangible–something that solves a problem they have. Make sure that you add “how-to” articles to your content calendar for next year–you may find yourself mentioned on this list! 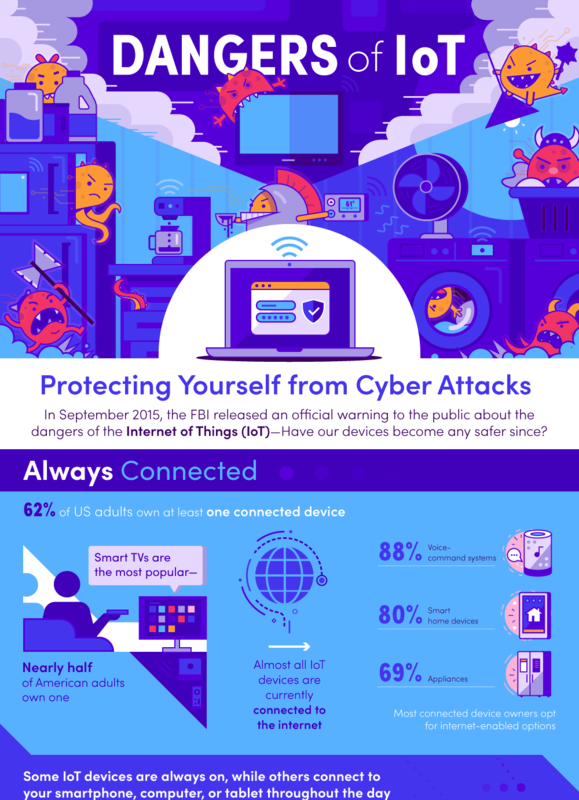 Everyone loves a good infographic. They take lots of information and arrange it in a way that’s easy to digest visually. Although they can be resource-intensive to create, they can pay off big time. See the full infographic from Marketing Profs here, which managed to gain 968 shares. See the full version of the above infographic on Entrepreneur, where it accumulated 902 social shares. The above infographic was also published on Entrepreneur and managed to get shared a total of 795 times across social media. 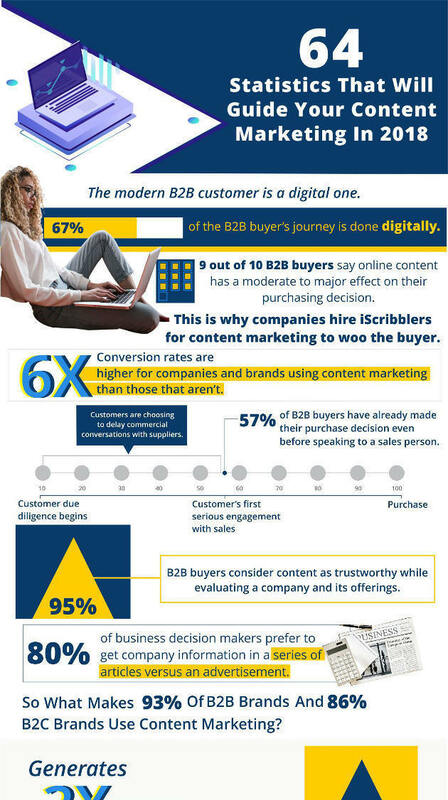 One of the great things about Infographic content for B2B, often you can have them produced through a partnership with another brand. This lowers the initial investment in creating the resource and can even gain more exposure with partner cross-promotion. It’s no surprise that video content is incredibly popular. Moreover, with our recent Facebook engagement findings, we know that it’s popularity in the world of social media is only growing. Although video can be the most resource-intensive type of content, studies show that it often has the best ROI. At this point, you may be realizing that Entrepreneur has been mentioned quite a few times throughout this list. If you’re looking at B2B companies to study, it would seem they are a great place to start. Although “Listicles” have had a bit of a bad wrap for being cliche or overdone, the simple fact is people still read them like crazy. So no matter how you feel about this content type, it may be a compelling format to add to your content strategy. As a bonus, we also determined the most popular numbers appearing in list articles. The most popular number in list articles is five by quite some margin. 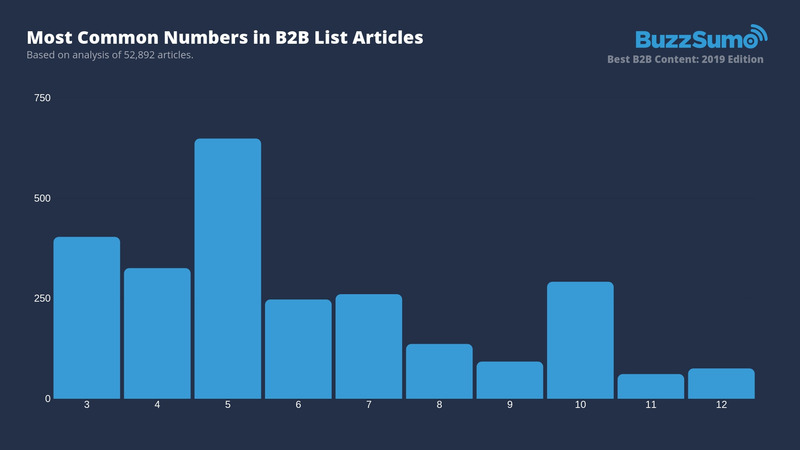 For B2B content, shorter lists perform better than longer. Now we come to the part of this article where we crown the champions of 2018 B2B content. The following publishers crushed it this year, and deserve recognition for their accomplishment. To choose the Best of the Best in B2B content, we looked only at the top 25% of articles for both evergreen score and total engagements. Techcrunch is an online publisher focusing on the Technology industry. It covers the business of tech, technology news, emerging trends in tech, and new tech businesses and products. 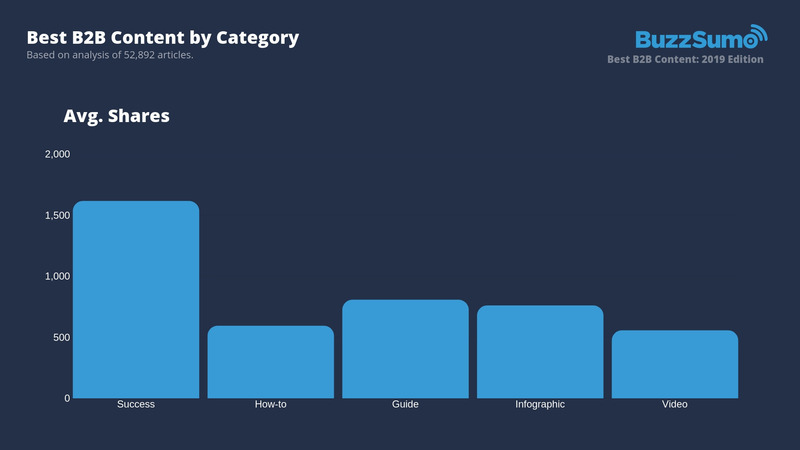 2,498 of the articles in our top 25% came from Techcrunch! Having been mentioned several times throughout this article so far, you knew Entrepreneur made the list. As a publisher, Entrepreneur focuses on stories and news in the entrepreneurship and business realm. With the massive amount of interest around cryptocurrencies, it’s no surprise that Coindesk is making an appearance on our list. 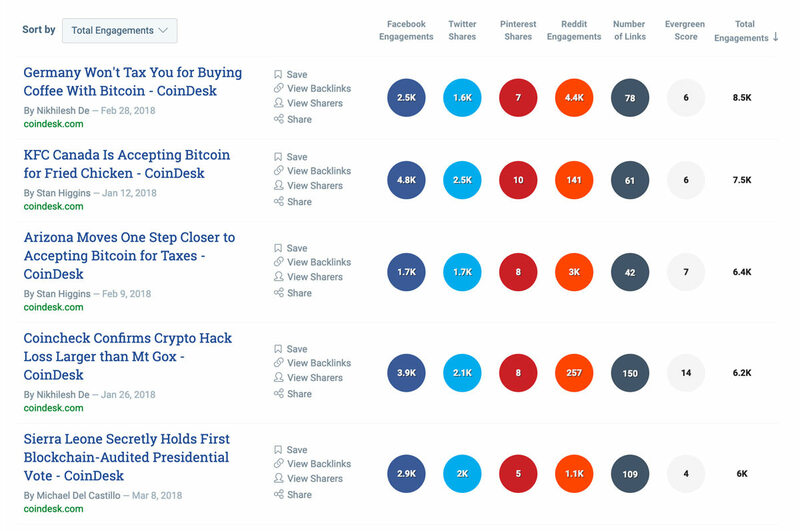 Coindesk is an online publisher focusing on Bitcoin and other cryptocurrency news. Business Insider is an online publisher focused on American Financial and Business news. They also have international editions in various countries. The Harvard Business Review is a subsidiary of Harvard University and publishes a subscription-only online magazine focused around general management and business topics. 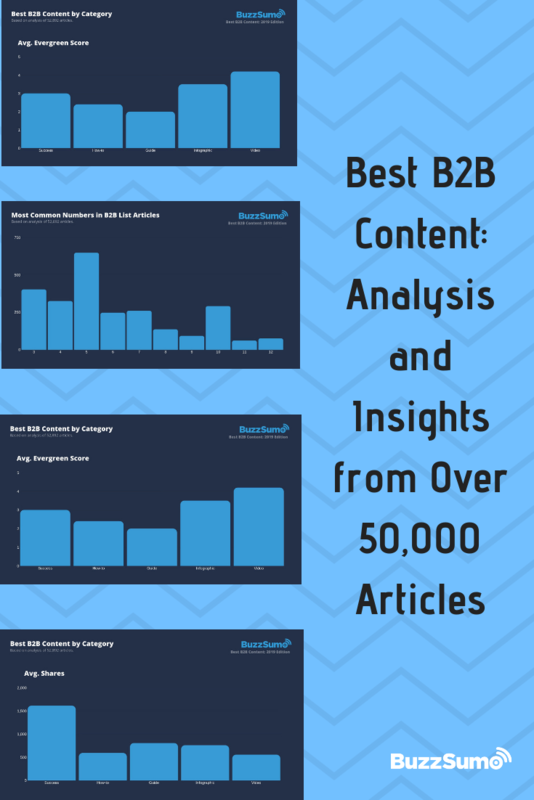 We hope you’ve found some great value from our analysis of the best B2B content of 2018. Understanding what content is performing as well as the people producing it can help your business reach new heights with your content. 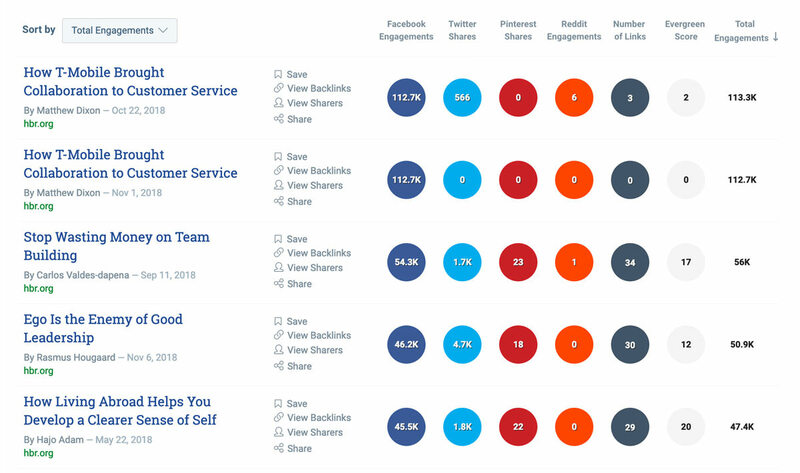 Performing this type of research and data analysis for your industry is as easy as signing up for a free trial of BuzzSumo. With our Content Analysis tool, you can search for the top performing content around keywords or from specific domains. What stood out most to you in our list of best B2B content this year? Let us know in the comments.